REMOTE SHIPMENTS. 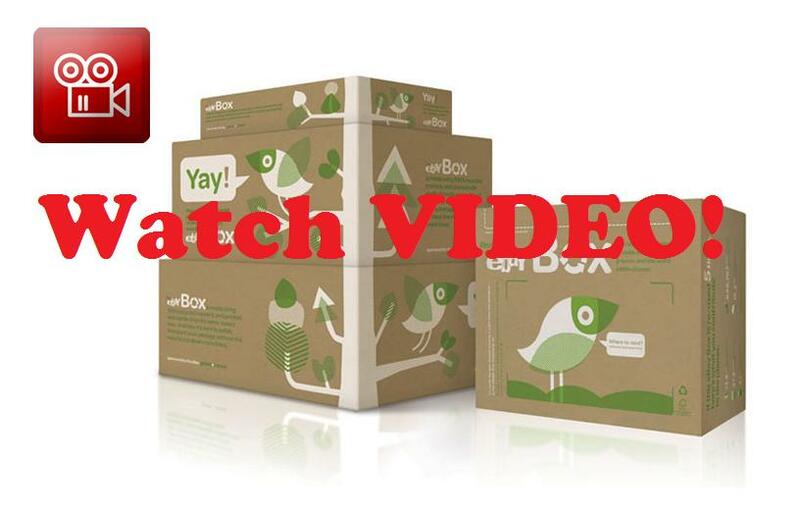 ORDER A SEAFREIGHT SHIPMENT FROM THE USA WHILE YOU ARE NOT IN U.S. eBay FRIENDLY! Shipping freight purchased from a merchant in the USA for overseas shipment or/and shipping freight purchased at U.S. eBay may appear a stressful, time and cost consuming process. If you are not in U.S. or an eBay buyer or seller and you need to ship international freight from the USA overseas, then you certainly should search for a remote real-time sea freight price rates calculator on-line. Our Real-time Online Sea freight Price Rates Calculator is a part of our Online Automated International Shipping System. It is eBay international freight friendly as well. Most of the time U.S. merchants as well as U.S. eBay sellers do not offer international shipping of purchased items out of the United States. U.S. merchants and eBay sellers may offer a domestic shipping of purchased goods within the USA. They may ship it for a shipping and handling fee or even ship it for free. However, most of the time, an international shipping (international delivery outside of the USA), especially international shipping of considerable large items that you bought or sold at U.S. merchants, on eBay or other U.S. auctions will not be offered by sellers. Now, using the AMID Logistics, LLC Real-time Automated International Shipping System you can arrange and complete an international sea freight shipment from any U.S. merchant and/or U.S. eBay shipments remotely at convenience of your office or home PC 24/7. Utilizing our eBay friendly International Shipping System you are able to get an instant FREE freight price quote online in a few clicks of your mouse. Then schedule your international shipment from your PC, fill out and receive essential international shipping documents online, pay for the freight using more convenient for you payment method and get your goods shipped to you. LCL ocean freight (Less than Container Load): International shipping of boxed, crated and/or palletized cargo by sea. Consolidated ocean freight. Note that you may use an LCL seafreight service for shipping both types of freight: either commercial cargo or household goods or personal effects. IMPORTANT! : You must NOT use pricing schedule in this sub-domain on international shipping of Household Goods and Personal effects! Shipping rates and procedures for commercial cargo are different from international shipping of Household Goods and Personal effects. For shipping Household Goods and Personal effects use other sub-domains below. FCL containing MOTOR VEHICLES*: International shipping of entire containers with consolidated motor vehicles consolidated in multimodal ocean freight containers. International shipping RO-RO: International shipping cars, trucks, trailers, boats, heavy equipment etc from the USA overseas. * In respect of international shipping, motor vehicles mean vehicles such cars, motorcycles, boats, jet ski etc that require a registration with the Department of Motor Vehicles (DMV). It is simple! Just decide either or not your vendor in U.S. or an eBay seller (or you are acting as the eBay seller) provides a free delivery within the USA. (Note: This instructions are appropriate for shipping an LCL Seafreight. If you concern of another kind of international seafreight service instructions, then please feel free contacting us with any questions that you may have). Get an international shipping sea freight price quote in our website in email. Keep this email till you will complete your eBay deal. Then book your eBay international seafreight shipment online via this freight quote email. 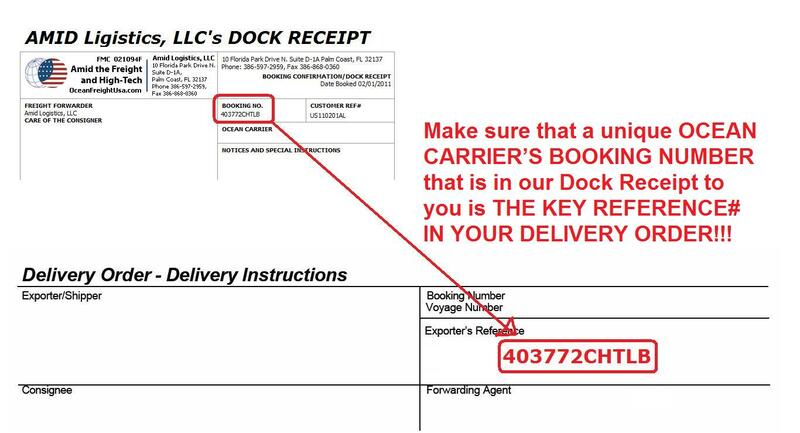 We will email to you (or to your U.S. eBay seller) our Dock Receipt containing complete shipping instructions for your international seafreight shipment. Get your eBay purchase to be delivered to the freight terminal indicated in our shipping instructions*. Then get your ocean freight Bill of Lading and have your eBay purchase shipped overseas! At a time of getting an international shipping freight price quote select that YES. PICKUP IS REQUIRED. Then book your international eBay seafreight shipment via our price quote email via the PICKUP option. Read FAQ and References questions sections in our website. Particulalry this link about LCL export international shipping procedures Step by Step. Watch the VIDEO above. If you ship an eBay LCL freight (Boxes, crates or pallets), then the most cost-effective way is to ship your eBay freight via cities listed in our website that highlighted, in upper cases and WITHOUT ASTERISK (*). ATLANTA, GA for example. Shipments via terminals WITH asterisk. (for example Akron, OH*), will be subject to line-haul charge (inland transportation) added on top of your eBay international ocean freight. For more information please read FAQ section in our LCL seafreight service. For FCL international eBay sea freight shipments (i.e. international shipping of eBay freight in entire 20', 40' etc seafreight containers) a self-delivery option may not be available. Unless you are a professional and licensed freight forwarder, for FCL seafreight shipments you always have to request an empty container delivery to your eBay freight location for the load. Use the Option B in our online FCL quotes. International shipping cars sold/purchased on eBay (and international shipping of other types of motor vehicles sold/purchased on eBay: motorcycles, motor boats, trucks etc) is available, but always require of case by case consideration. It is due to special U.S. Customs regulations for exporting motor vehicles from the USA overseas and its titles validation. Note: By default our automated online international shipping system emails all information and documents to consigners (shippers) as submitted in our online booking forms. IF YOU ARE A CONSIGNEE (RECIPIENT) OR A THIRD PARTY AND WOULD LIKE TO RECEIVE COPIES OF OUR EMAIL, THEN ASK AS TO DO THAT IN A SEPARATE EMAIL OR PUT A NOTE ABOUT THAT IN THE 'COMMENTS AND QUESTIONS' FIELD OF OUR ONLINE BOOKING FORM (THE LAST BLOCK IN ONLINE BOOKING FORMS). Upon your authorization we may also contact your eBay seller on your behalf. 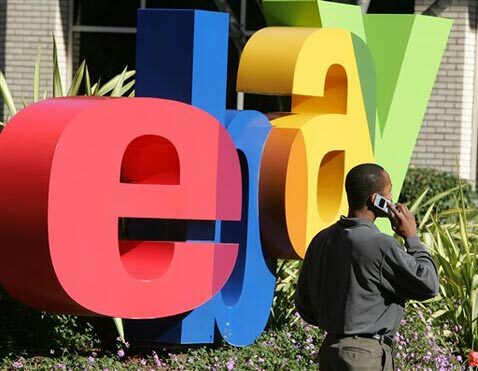 Retrieving and providing of general eBay info is free of charge. Resolving time-consuming, more complicated issues is subject to an hourly fee. That should be negotiated with us in advance and paid as agreed upon our final invoice.